Celebration of the coming snow season! Snow gear & trip giveaways! Season start party in Harajuku to celebrate the coming snow season! Snowboard, snow gear, snow trip giveaways, drinks, dancing, good people, good times! The party is on Friday night from 20:00 and features djs, snow movie projections, snow gear & snow trip giveaways and lots more. 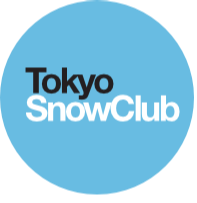 This is a great chance to meet up with other Tokyo Snow Club members and staff and plan your trips for the coming season. The party will be held at the Sad Cafe Bar & Party Space in Harajuku. The bar is very close to the station and there are two free drinks included on entry and a cheap cash bar afterwards.